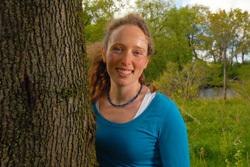 Mary Anne is a Landscape Architect, consulting arborist, and experienced field ecologist whose multi-disciplinary skills allow her to work fluidly with different professions both within D&A and externally. As a project manager Mary Anne is organized, thorough, and professional, with experience managing sub-consultants in inter-disciplinary teams and acting as the liaison between the team and Client. In addition to her in-office duties, Mary Anne is a sessional instructor in the Landscape Architecture program at the University of Guelph.